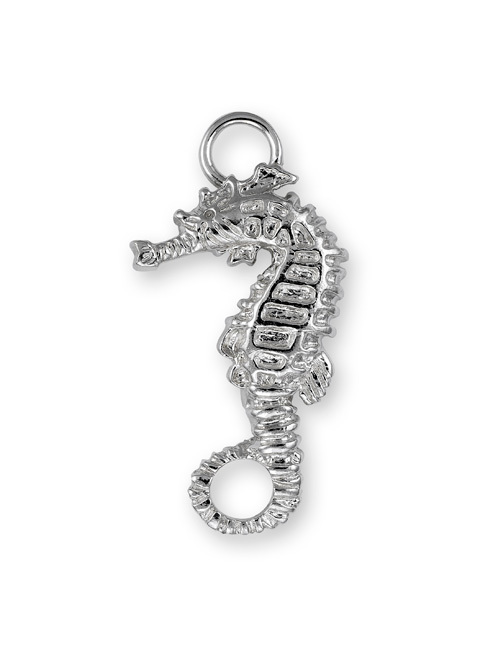 Large Sterling Silver Sea Horse Clasp for the Custom Clasp Collection. Note: All Custom Clasp designs are 1 3/8" length +/- 1/16". Take this into consideration when purchasing/sizing our accompanying customizable bracelets. For example, if your regular bracelet measurement is 7.5 inches, order a size 6.5 inch Custom Clasp bracelet with your 1 inch Custom Clasp.